Why travel off the beaten track? 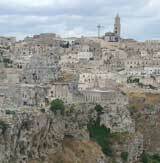 Perhaps you have already seen Italy's big tourist destinations and want to discover somewhere new. Maybe you simply don't like crowds, busy streets and tourist menus. Perhaps you object to following the herd and want to see a different Italy from the tourist cliches which are so often presented. There are lots of reasons for heading off the beaten track, and Italy is a great country to do it in, since it is so full of picturesque villages, art-filled provincial galleries, excellent local restaurants and glorious natural scenery. If you travel off the major tourist trail you are likely to encounter a warm welcome. Italians are invariably proud of their local town and surroundings, and they will be delighted and flattered you have taken an interest. Generally the less visited the place, the more pleased, welcoming and helpful the locals will be. And of course, a final, unworthy advantage is that on your return home you will be able to impress acquaintances with tales and photographs of places they have never visited. Most of the places we recommend do have some tourist infrastructure, and our descriptions contain practical advice on services. Where a small village is best-visited as a brief trip with a packed lunch, we make this plain. Off the beaten track, you will occasionally find tourist information offices - and they may be particularly well-stocked with information by hopeful tourist boards. But opening hours may be limited and seasonal. 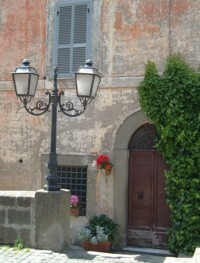 Restaurants and bars can be found in all but the smallest settlements as they are key features of Italian life. Generally travelling off the main tourist trail is cheaper than visiting big cities, but limited accommodation options can mean that hotels are surprisingly expensive. We strongly recommend researching before you visit remote destinations, particularly if you are relying on public transport, and booking accommodation in advance. As usual in Italy, be prepared for unexpected delays and problems. Remember that most shops, businesses, churches and even tourist attractions close for a few hours in the middle of the day. Sometimes museums may be unexpectedly closed. The best option is to adopt a flexible attitude. Ask a friendly local for an alternative sight or activity, or relax in the sun or over a long lunch. On one enjoyable foray off the beaten track, south of Rome, we found ourselves at an isolated railway station with no transport to our intended destination. A helpful ticket clerk suggested we take the bus outside to a nearby abbey, the Abbazia di Fossanova. It was interesting, though partially closed. However, another helpful local recommended we take the next bus uphill into the little town of Priverno. This was a characteristic small Lazio town on a hill, with no pretensions at all. Little medieval lanes wound around, mixed with typical modern small-town Italian life. There was a small archaeological museum - closed for a long lunch. We explored, coming across many picturesque sights such as two black-clad old ladies toiling up a lane in a scene that could have been a photograph from a century ago. We found a lovely little pasticceria where we bought little cakes and the assistant engaged us in conversation about the town, his nearby hometown, the local coast and UK politics. We didn't see any sights of great significance, and we had to make a second excursion to reach our original intended destination, Terracina, but it was a minor adventure and more interesting for being unexpected. Italians do not all speak English, although many have learnt it at school. If you are outside major tourist destinations it will be helpful to speak some Italian, however basic, and to carry around a phrase book or dictionary to aid communication. Meeting people is one of the pleasures of travelling off the beaten track. Even if you barely speak Italian, it can still be possible to make new acquaintances and be greeted as a regular in a village restaurant on your second visit. It is friendly to greet shopkeepers when entering a shop, fellow travellers in a train compartment, and in some remoter areas we've been charmed by friendly greetings from mere passers-by on village lanes. Requesting permission before taking photographs, asking advice on directions, bus stops or what to see are all good moves. Learn how to say where you have come from, and how much you admire their town/village/countryside/church. Another charming encounter was in a small northern town, when, upon hearing my (English) accent, a local queried 'You're not from town?'. We love exploring smaller destinations so this website is full of less well-known towns and villages. 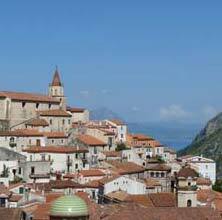 You could start by browsing our destinations list or reading about Italy's regions. 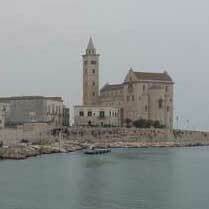 Here we include some possible alternatives to the principal tourist destinations. 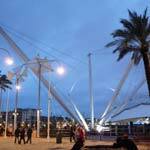 Rome, Florence and Italy's other tourist hotspots are popular for a reason. There is no true alternative to the canals of Venice or the art of Florence, whatever journalists may occasionally claim. But if you have seen these cities or would prefer somewhere less world-beating but quieter, there are some suggestions below. Some may be minor tourist destinations, others may be well-known but not to English-speaking travellers. Others are truly off the tourist trail. Instead of the expensive hotel-villages of the Amalfi Coast, try visiting the Cinque Terre in Liguria. These rocky shores and pretty villages get an increasing number of visitors each year, but the shoreline and countryside is less built-up and still a pleasant place for a simple walking holiday, while the connecting train line spares you the terrors of the Amalfi Coast road. 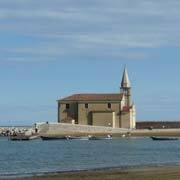 Or for less-visited charm, try the atmospheric town of Maratea, perched between mountains and sea in the southern region of Basilicata. 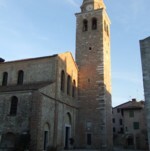 Tuscany has some lovely countryside and villages but they are very well-known. 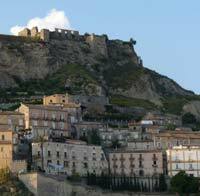 For some less spruced-up hill villages, try touring the countryside of Lazio, just to the south. Outside Rome, this region doesn't get its fare share of visitors and it has real - sometimes crumbling - charm. Capri is truly beautiful but it fills up with daytrippers and hotels are very pricey. 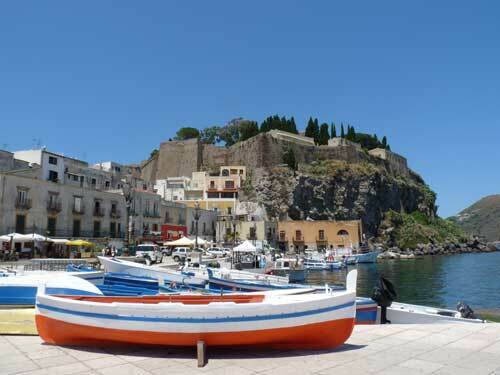 Larger Ischia to the north is less dramatic but much cheaper, most popular with German holidaymakers who relish the island's hot thermal spas. 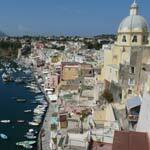 Next to Ischia, picturesque little Procida is busy with residents but fewer tourists. 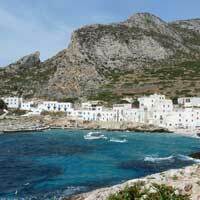 To the north, off the coast of Lazio, lie the Pontine Islands. The largest, Ponza, is - like Capri - popular with the well-off and famous but here they enjoy a humbler holiday on a less-developed island. 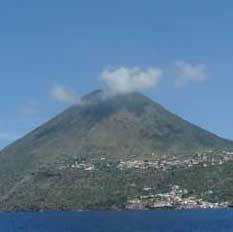 If islands are really your thing, I'd suggest making the slightly longer journey to the Aeolian Islands, a beautiful volcanic archipelago off the coast of Sicily. Although popular with tourists in the summer months, these islands are unusual, dramatic and at times, particularly when cut off by high seas, feel authentically remote. 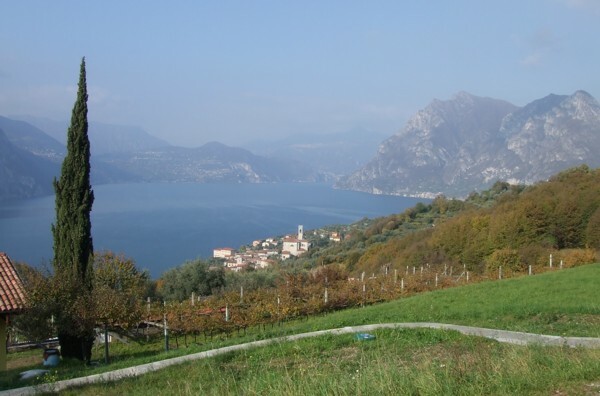 Instead of Lakes Garda, Maggiore and Como, consider visiting the smaller Lake Iseo, which is also in the north of Italy, with its head towards the mountains and dramatic scenery, but which is much less touristy and a lovely place to stay. For some archaeology followed by beautiful coastline, instead of the old Rome and Sorrento combination, head to the island of Sicily where you can visit Greek ruins in Siracusa and then catch a train up the coast to the little resort of Taormina, perched above the sea with a Greek theatre of its own. Other good seaside resorts with archaeology nearby include lagoon town Grado on the north-eastern Adriatic coast, and two sandy beach resorts in Lazio, Sperlonga and Terracina, dominated by a ancient temple on the cliffs. Paestum, just south of the Amalfi Coast, is a lovely Greek site with temples set in the countryside; if you stay overnight you'll really feel the magic of the location. If you want to spend a couple of days in an art city, Florence is the obvious option. 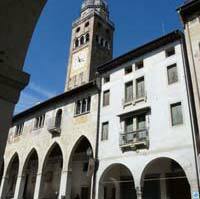 But other (easily reachable) towns like Bergamo and Padua have enough fine art, architecture and atmosphere to entertain you for the weekend, without being submerged by tourism. In the itineraries section of this website I've suggested some independent touring itineraries which include several off-the-beaten-track destinations, and could be a helpful start to planning your own exploration of Italy's hidden corners.